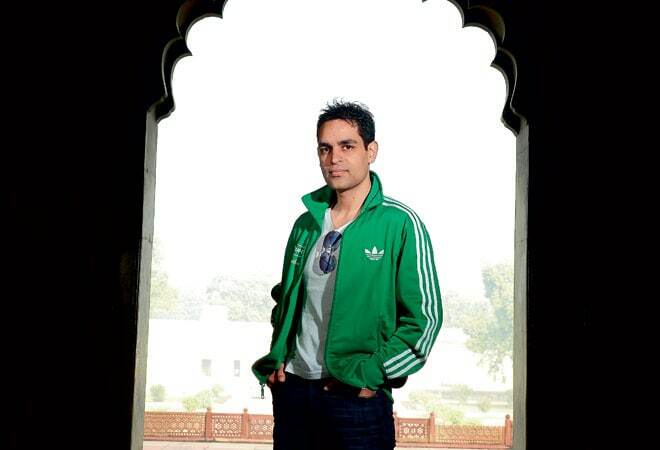 Ankur Warikoo, Groupon head, reveals the secret behind balancing work and workouts. The 34-year-old head of Groupon India is a highly disciplined man. For one, he values time enough to never be late for an appointment and, second, he doesn't believe in giving up. At a time when deal-buying ventures in the country weren't doing too well, and many similar organisations opted to rethink their business models, Ankur Warikoo made Groupon stand its ground against the oncoming gale of losses. Today, the firm commands a whopping 70 per cent market share in the deal-buying pie. However, Warikoo is also known in corporate circles for another reason; he's probably the fittest corporate head honcho in the country. A man who believes that health is as important as succeeding in the corporate world, he even managed to develop a six-pack for a while. BT More catches up with Warikoo to get an insight into the secret behind his physique. I maintain my calendar quite rigorously. For everything that happens during the course of a day, I allot a time slot and honour it. Before the digital era came around, I used to keep a notebook to jot down everything I did by the minute. Exercising, for me, has been a very fairly recent development ; I wasn't even a morning person for the longest time. However, about a year and a half ago, I underwent a hip surgery that had me in bed for three months, and on crutches for the next five months. It was an experience that made me realise that fitness was very important. I completely changed my schedule, and today, I work out in the gym from 6.15 to 7.45 for six days a week. While travelling, I stay in hotels with well-equipped gyms. Even if I have to work long hours, I make it a point to exercise for at least 15-30 minutes. I prefer to vacation in cities than beaches or mountains. Maybe it's because I don't know how to relax. I think that maintaining a healthy diet is more important than anything else. I have discovered that being fit is 70 per cent about diet and 30 per cent about working out, though people think it's the other way round. People also think that exercising gives them the excuse to eat whatever they want, but that's not the case at all. My diet largely consists of protein, with very little carbs. As I am a vegetarian (and a teetotaler too), I have a lot of paneer, dal and sprouts. The biggest change I have undergone in my dietary habits is the near-elimination of dinner. Instead, I have some yoghurt, salad and dal around seven in the evening. I prefer to wear casual clothes, usually jeans and tee-shirts (a shirt, if I really need to). I manage to get away with dressing casually even at conferences; I usually wear a blazer and dark jeans. Suits are reserved only for weddings. We follow a similar policy at Groupon. I remember hiring a new person, and on the first day, he came wearing a suit. We sent him back to change, telling him that Suit nahi chalega. We function in a very informal environment, and everybody knows each other on a first-name basis. Formalities don't count; output does. If you ask me to choose between mountains and the sea, I would go for the former. But cities are what I like more than anything else. I like the hustle bustle, the activity, the people. Almost the whole of the US is fascinating; I had recently been to Chicago, and I found it fascinating. So, I would prefer going to Paris and Hong Kong over Maldives or Mauritius anyday. I am a very busy person in my mind, so I don't know how to relax.